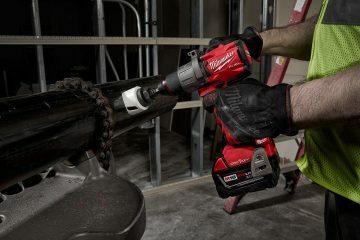 Unwavering in their dedication to delivering productivity-enhancing solutions that provide the right blend of power, run-time, and performance, Milwaukee Tool is proud to announce its fastest drilling and hardest hitting SDS Max rotary hammer yet. 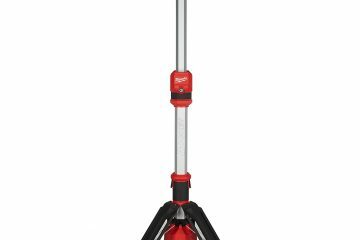 The M18 Fuel 1-3/4” Rotary Hammer w/ One-Key generates the power of a 15amp corded hammer of the same size, features an electromagnetic clutch for maximum control and safety during use, and is capable of chipping a 1/2 ton of material per charge. Equipped with One-Key, users can also easily track, manage, and secure the rotary hammer through the One-Key app on their mobile device. When equipped with Milwaukee’s new M18 RedLithium High Output HD12.0 Battery, the rotary hammer can chip up to a ½ ton of material per charge, eliminating the hassle of cords while exceeding the performance of corded. The new High Output HD12.0 Battery provides 50% more power, runs 50% cooler, and delivers 33% more run-time than the M18 RedLithium HD9.0 Battery. Through One-Key* users can track, manage, and secure the rotary hammer. The One-Key Integrated Tool Tracking functionality allows users to identify where and when their rotary hammer was last seen on the jobsite. Records and locations will update when any device with the One-Key app comes within 100ft of the hammer, allowing the user to quickly pinpoint missing tools. Integrated Tool Security provides an extra layer of protection to prevent theft and tampering. With Simplified Tool and Equipment Management, users also have a central place to take inventory of their rotary hammer and all other tools and equipment and keep detailed records of all inventory to easily build a budget and manage spend. 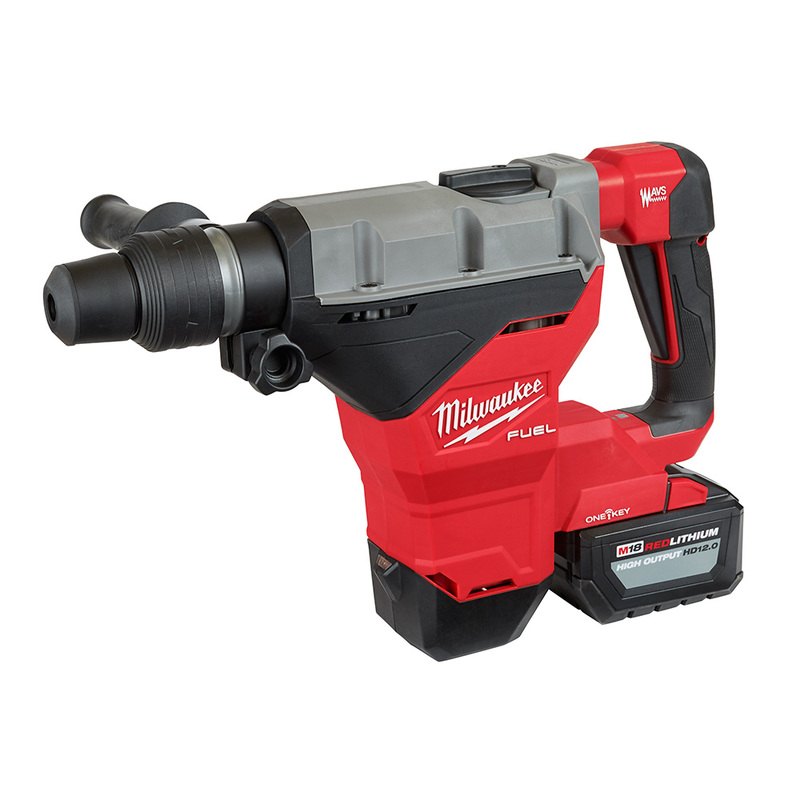 With the launch of this new hammer, Milwaukee continues to be the only power tool manufacturer to provide a full line of rotary hammer solutions all on one battery platform. The new M18 Fuel 1-3/4” SDS Max Rotary Hammer is part of the M18 System, now offering more than 175 power tool products for unrivaled productivity. * M18 Fuel is engineered for the most demanding tradesmen in the world. 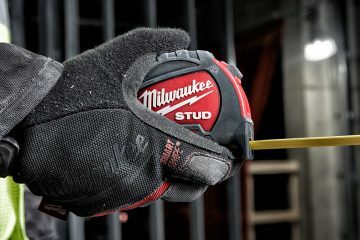 Delivering unrivaled performance, all M18 Fuel products feature three Milwaukee-exclusive innovations—The PowerState Brushless Motor, RedLithium Battery Pack and RedLink Plus Intelligence Hardware and Software—that deliver unmatched power, run-time and durability on the jobsite. Simply put, M18 FUEL™ tools are the most powerful 18V cordless tools in their class. **One-Key is the first digital platform for tools and equipment. By integrating industry-leading tool electronics with a custom-built cloud-based program, One-Key provides a new level of control and access to information that revolutionizes the way work gets done. The ability to customize, track, and manage through One-Key fundamentally changes the way users interact with their tools.